The composer and musician Balz Bachmann, born in Zurich, has studied contrabass at the Swiss Jazz School in Bern. He has been writing music for motion pictures and documentary films, theatre, arts and TV. 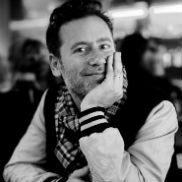 Bachmann has won several awards such as the film music award of the SUISA-foundation of the Locarno Film Festival 2003 for his score for Little Girl Blue by Anna Luif and was nominated twice for the Swiss Film Prize Quarz. Since 1999, Balz Bachmann collaborates with sound designer and film musician Peter Bräker. They developed scores for (among others) I was a Swiss Banker, directed by Thomas Imbach and for Jeune Homme by Christoph Schaub that both won the film music award of the SUISA-foundation. Besides his work as a composer and producer, Balz Bachmann is a visiting professor at the University of Arts Zurich. As a performing musician, Balz Bachmann accompanied the singer Sophie Hunger on her European tour and has been playing bass and guitar in the punk band The Fox. In 2014, Balz Bachmann wrote the scores for Jasmila Zbanic's film Love Island and for Sabine Gisiger's documentary Yalom's Cure, both of which were premiered at Locarno Film Festival. In 2017, Balz Bachmann received the Fondation SUISA Film Music Prize for the third time for his original score for the documentary Bis ans Ende der Träume, directed by Wilfried Meichtry. Bachmann's scores for Bis ans Ende der Träume and Willkommen in der Schweiz were both nominated for the German Documentary Film Music Award 2018. His most recent work includes the score for Christoph Schaub's feauture Amur senza fin with a premiere at the 2018 edition of Locarno Film Festival. “Rumpeivel e custeivel” — precious and fragile: Mona’s marriage with Gieri has gone a bit stale after twenty years. Inspired by the unorthodox proposals of the new parish priest, she tries to revive her marriage, which causes great turmoil, not only for Gieri but the entire village community. The documentary premiered as the opening film of the 2017 edition of Locarno Film Festival. Balz Bachmann's score for Welcome to Switzerland was nominated for the German Documentary Film Music Award 2018. 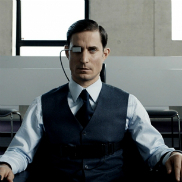 The insurance salesman Vincent Baumann (Clemens Schick), a cold-blooded careerist and minion of a merciless system, becomes a victim of the very corporations he is representing. Degraded to a henchman, he grimly struggles to get back on the job market and fights to climb the social ladder until he realizes that there are other values than income and success. Baumann decides against his previous ideology and for another human being, Lisa Sokulowa. They do not have a future, but nonetheless celebrate a small triumph against the dominance of the ruling system. What is going on with love? Does it still exist or is it a utopia? What keeps a couple together and where does our longing lead us? Yes No Maybe sets off on a search for its traces and encounters two extremely different couples, one a first, the other a last love. One emerges unexpectedly via internet; the other culminates, after many years, in a mutual dream in Portland, Oregon. The sociologist Eva Illouz and the author Sven Hillenkamp shrewdly decrypt the impossible nature of love, a conclusion the two couples discard. Kaspar Kasics' documentary, set to music by Balz Bachmann, was premiered at Locarno International Film Festival 2015.